Builders & Investors Alert! Prime Garden Village area 64x110 ft corner lot with lane access. Fabulous North shore mountains view. Solid bungalow 3 bedrooms up and 2 bedrooms down with 2 kitchens. 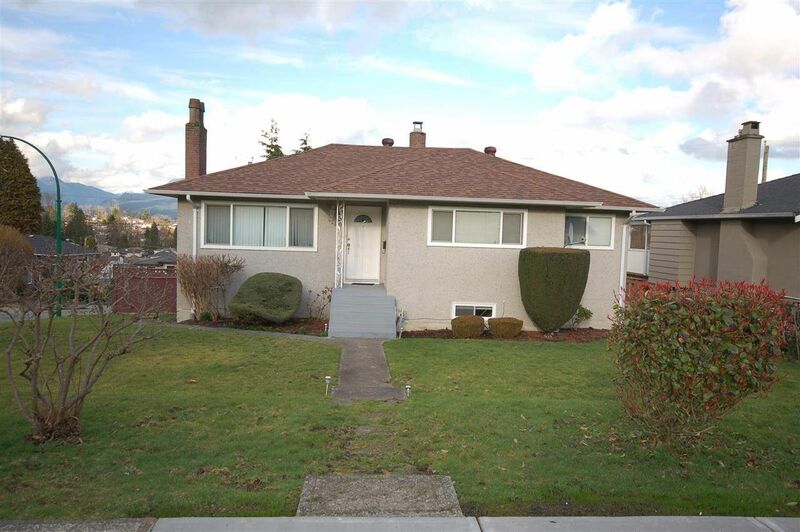 Close to High School, Elementary schools, bus stop, and only 3 min drive to Metrotown! Home is livable but being sold as is, where is. Value mainly in land only. Can hold or build your dream home! Don't miss this chance. Open House cancelled.